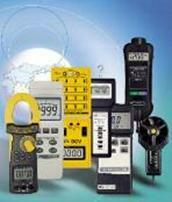 pH Meters | Test and Measurement Instruments C.C. pH Meter : 0 to 14pH Economical Pocket size, Needs Electrode. pH Meter,Bench Type: 0 to 14 pH,(0.01)pH, Water Resistant Front Panel. Ideal for Schools, Laboratory and Industry. pH Meter: Intelligent pH Meter, ORP, DO, CD/TDS, Salt Meter, Conductivity. 0.00to 14.00 pH, +/-19999mV, C/F, Record-Min/Max, Memory, Data Hold & RS232. Notes on pH and ORP Electrodes. pH is the Unit of Measure used to express the degree of acidity of a substance and ideal for use in Aquariums and elsewhere. pH electrodes and ORP electrodes are analytical sensors for measuring pH and oxidation-reduction potential (ORP). These electrodes can be for measuring either pH or ORP, or both. pH is the negative logarithm of the hydrogen ion activity in solution. The pH value of a substance is directly related to the ratio of the hydrogen ion [H+] and the hydroxyl ion [OH-] concentrations. It is one of the most common laboratory measurements because many chemical processes are dependent on pH. Oxidation-reduction is a type of chemical reaction in which electrons are transferred from one substance to another. The oxidized species loses electrons and the reduced species gains electrons. Both species must be present for the reaction to occur. Important specifications for pH electrodes and ORP electrodes are measuring ranges and accuracies, as well as response time, which is typically given as time to reach 95% of final value. pH electrodes and ORP electrodes are available as either single cells or combination cells. Single cells, one part of an electrode pair, require separate reference electrode and are the best choice for colloidal suspensions, iodides in sample, and high percentage of solids in fluid. Combination electrodes are composed of two parts, the measuring electrode and the reference electrode. This is the most common configuration and is best for laboratory or field applications. Reference electrodes can be either refillable or sealed. The trade-off between the two is amount of maintenance versus length of product life. Refillable electrodes obviously need more maintenance, but also last longer and typically have higher accuracies. Sealed electrodes, while not requiring refilling, have a limited life, as the chemicals inside get used up and not replaceable. Two types of reference cell junctions are common. Single junction reference electrodes contain a single electrolyte. The electrolyte provides a constant level of the ion sensed by the reversible reference element and forms a low potential liquid junction with the sample solution. Double junction reference electrodes have an additional reference cell in front of the potassium chloride cell, which screens the sample from the potassium chloride reference cell. Double junction cells typically have a longer time response. Handheld or portable configurations allow pH electrodes and ORP electrodes to be used with ease in laboratories, where the operator may be testing several different samples. Insertion style electrodes are often inserted into process piping through a tapped hole in a pipe or bulkhead. Flow-through styles fit directly into the pipeline and become an integral part of it via some connection such as flanges or other fittings. Typical features of pH electrodes and ORP electrodes include temperature compensation, built-in temperature sensor, submersible or water resistant design and a design specially suited for food, sanitary applications and Aquariums. Digital Aquariums pH Meters should be used for accurate pH measurement using Meter Probes. Additional Notes On pH of general interest. The term pH is derived from the French word, "Pouvoir Hydrogene" which means "hydrogen power". pH is the measurement of hydrogen ions concentration in a solution. As a result of its mathematical formulation, low pH values are associated with solutions with high concentrations of Hydrogen ions, while high pH values occur for solutions with low concentrations of Hydrogen ions. Pure water has a pH of 7.0, and other solutions are usually described with reference to this value. Acids are defined as those solutions that have a pH of less then 7 (ie more Hydrogen ions than water); while bases are defined as those solutions that have a pH greater than 7 (ie less Hydrogen ions than water). The pH levels for drinking water should be pH 6.5 - 8.5. Litmus paper in the form of pH Testing Kits or Rapitest may be used for pH measurement, but it only provides a rough indication and is not necessarily accurate. A more accurate method requires a pH meter and a pH elektrode that has a Hydrogen ion sensitive glass bulb. The most common sensing element used in the electrode is the glass membrane as it is selective for H+ ions, i.e. H+ ions can permeate through the hydrated layer of glass membrane. The electrode body may not necessarily be glass. Movement of the ions into the hydrated membrane changes the electrochemical effect inside the glass which is measured in mV which is then converted via the pH meter to be reflected as a pH value, thus depending on the concentration of ions in the solution, the mV and thus the pH varies. Particular attention to the pH testing procedure needs to be paid. Compounds that are acidic and alkaline can be released into water from different types of rock and soil. When Calcite (CaCO3) is present, Carbonates can sometimes be released, which increases the alkalinity in the water and raises the pH. When Sulfide minerals, such as Pyrite are present, water and oxygen interact with the minerals to form Sulfuric acid. This can drop the pH of water making it very acidic. Drainage from forests and marshes are often slightly acidic, due to the presence of organic acids produced by decaying vegetation such as is the case in the Amazon River turning the water to a dark tea like colour. A strong pH Meter Probe needs to be used for soils. Drainage from mine sites particularly in Gauteng, South Africa. When mining for silver, gold, and other metals this often involves the removal of sulfide minerals buried in the ground. Water can become acidic from the formation of sulfuric acid, when water flows over or through sulfidic waste rock or tailings exposed at a mine site. Streams that receive drainage from mine sites have low pH levels, in the absence of buffering material, such as calcareous rocks and these PH circuits are compromised. Car exhaust pollution and power plant emissions increase the concentrations of nitrogen oxides and sulfur dioxide in the air and may travel far from their place of origin. They react in the atmosphere to form nitric acid and sulfuric acid and fall as acid rain or snow. 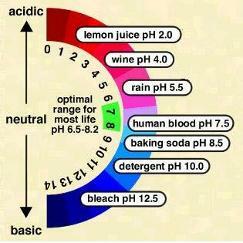 These acids do affect the pH in streams and thus the fish and eco life, thus the need for Probes and Meters. The concentration of carbon dioxide in the water. Carbon dioxide (CO2) enters a mass of water from a various sources, including the atmosphere, runoff from land after rains, release from bacteria in the water and respiration by aquatic organisms. This dissolved CO2 forms a weak acid. Natural, unpolluted rainwater can be as acidic as pH 5.6, because it absorbs CO2 as it falls through the air. pH levels in water can change from daytime to night because plants take in CO2 during the day and release it during the night. Water Quality Standards using an Aquarium Digital pH Meter.. The DWAF Requirements for the Purification of Waste Water or Effluent Water, is that the pH should be 5.5 - 7.5. A very high (greater than 9.5) or very low (less than 4.5) pH value is unsuitable for most aquatic organisms. The young fish and immature stages of aquatic insects are extremely sensitive to pH levels below 5 and may die at such low pH values. The high pH levels (9 - 14) can harm fish by denaturing cell membranes and should be measured using pH meters for Aquariums. Any such changes in pH can also affect aquatic life indirectly by altering other aspects of water chemistry. The low pH levels accelerate the release of metals from rocks or sediments in the stream. These metals can affect a fish's metabolism and the fish's ability to take in water through the gills and can kill fish fry and can be prevented by using a digital pH meter aquarium. In a perfect electrode - one that measures zero at exactly pH7 - there is no temperature effect on the electrode sensitivity at pH7, regardless of temperature change. Most pH electrodes are not perfect, but the errors from changes in temperature are still very minute when near pH7, plus or minus one-tenths of a pH, and can be disregarded. However, the further from pH7 the solution is, the greater the expected measurement error due to changes in the electrode sensitivity. For most electrodes, the error is approximately 0.003 pH / C / pH away from pH 7. To overcome this error, pH meters require some form of temperature compensation to ensure standardised pH values. Meters and controllers with Automatic Temperature Compensation (ATC) receive a continuous signal from a temperature sensing element and automatically correct the pH value based on the temperature of the solution. Manual Temperature Compensation requires the user to enter the temperature of the solution in order to correct pH readings for temperature. ATC is considered to be more practical for most pH applications. Hanna meter calibration would be ideal. Electrodes should be kept in a solution of Potassium Chloride at pH = 4 or same acidic calibration buffer. pH probes do not like to be kept in distilled water. Note that probes should be rinsed before placed in the test solution to remove traces of the pH = 4 solution, as this can influence results. Also do the measurement in a static solution without moving the probe around in solution. Voltage differences occur when two different metals come into contact with one another, and a similar electric potential exists when a metal comes into contact with a solution of salts or acids, which is how a battery works. A similar potential exists when one solution comes into contact with another solution, and separated by some membrane. A pH meter is basically the electro-chemical potential measured between a liquid inside a glass electrode, or membrane, and a test solution outside. The very thin glass electrode measures the electro-chemical potential of the Hydrogen ions. To accomplish this a reference is used inside thus forming a conducting bridge to the glass electrode. This gives off a voltage and is translated by the instrument into a digital reading. For this reason the probe should not be used in liquids with movement, and best results are achieved with small containers. Readings vary with temperature, and instruments compensate for variations in temperature. Electrodes have a limited shelf life, and should be replaced when taking a long time to settle or when the drift is no longer Reasonable. We suggest the following action to clean and try to recover the pH or pH/ORP sensors. PLEASE NOTE: Not all pH or pH/ORP sensors can be recovered. 1.Fill the pH/ORP sensor container with 100% Isopropyl alcohol. If not available use additive- free rubbing alcohol (70%). This will remove any oils. 2.Allow the sensor to soak in it for 10 minutes. 3.Rinse with Reverse Osmosis or Distilled water. 4.Rinse the sensor well (at least three times) and fill the container with storage solution or our pH buffer 4 solution. Replace the protective cap and allow the sensor to recover overnight. 5.Re-calibrate the instrument according to the instruction manual that was provided with your instrument. If it fails to calibrate correctly, continue to the next step. 1.Fill the pH or pH/ORP sensor container with a hot salt solution 60°C potassium chloride (KCI preferred) or hot tap water with table salt (NaCl). Allow the solution to cool in solution. 2.Re-calibrate according to the instruction manual that was provided with your instrument. If it fails to calibrate properly, the pH or pH/ORP sensor must be replaced. The pH glass membrane is sensitive to the temperatures of testing solutions. Prolonged use and/or exposure to temperatures (above 35° C) will accelerate the aging and increase the chemical attack to the glass membrane which will shorten the life of the sensor. REMEMBER : RAISED TEMPERATURES SHORTEN THE SERVICE LIFE OF A pH SENSOR. Soil pH Meter : 0 to 14pH (0.01pH) Economical cost / Pocket Size. For Soil, Meats, Cheese etc, C/W PE06HD Soil pH electrode, 4.0& 7.0 Buffer Solutions. Soil, Cheese, Meats pH Meter : 0 - 14 pH, supplied with Separate Spear Tip Electrode and pH7 Standard Solution. Electrode ; 0 - 13pH. Waterproof. Ph Meter, pH probe included: 0 - 14.00 pH, P-65 Waterproof. Auto Calibration. One Buffer solution included. pH Electrode with Temp Probe. 0 to 13 pH PE-03 General Purpose pH Electrode, and TP-07 Temp probe for PH-207,PH-207A,PH-208,PH-221,YK-2005WA. See also the notes on the page of ORP meters. pH Meters for soil, food, liquids, water testing, hydroponics, home beer brewing, cheese making, experiments, fish tanks, garden growing, laboratory use, meat, wine making, oil, swimming pools, paint, aquariums, urine and titration are available for sale ex-stock. Specialist probes are available for use in strong chemicals such as Acetone. pH probes carry no guarantee. 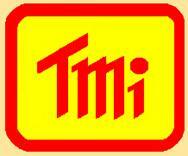 Instruments have a One year Guarantee. pH Meter : 0 to 14pH (0.01pH) Economical cost / Pocket Size, General purpose application, Needs electrode. Ideal for Brewing Beer and other uses. pH Meter, Professional : PH/mV ,ATC 0 to 14 pH (0.01pH), Min/Max & Datahold, 3 pt Calibration. RS232 Interface. Auto Off. Needs Optional Electrodes. Pen Type pH Meter : 0 - 14 pH, supplied with pH7, pH4 Standard Solution, PE-12 built-In Electrode; Waterproof. Temp. Compensation.100 point datalogger.